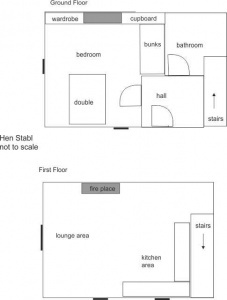 1 bedroom, sleeps 2-4; scroll down for availability calendar. Yr Hen Stabl (the old stable) is an annex to Erw Goed, the main farm house which is estimated to be about 400 years old. 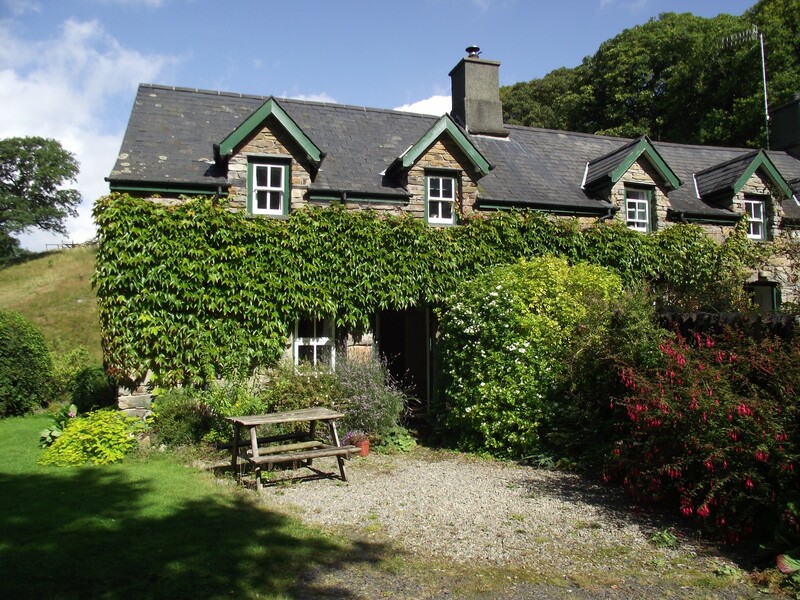 Erw Goed was restored in 1989 and Yr Hen Stabl, the adjoining barn or stable, was converted shortly afterwards to provide comfortable, self-contained holiday accommodation for 2 to 4. Inside it’s a topsy turvy cottage with the living room and kitchen area on the first floor and bedroom and bathroom on the ground floor. 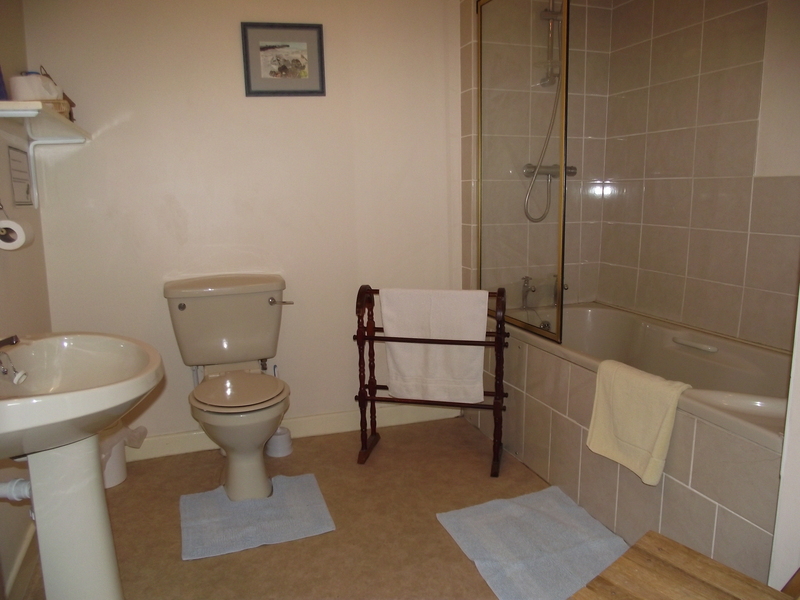 The spacious bathroom consists of wc, basin, bath with shower over. 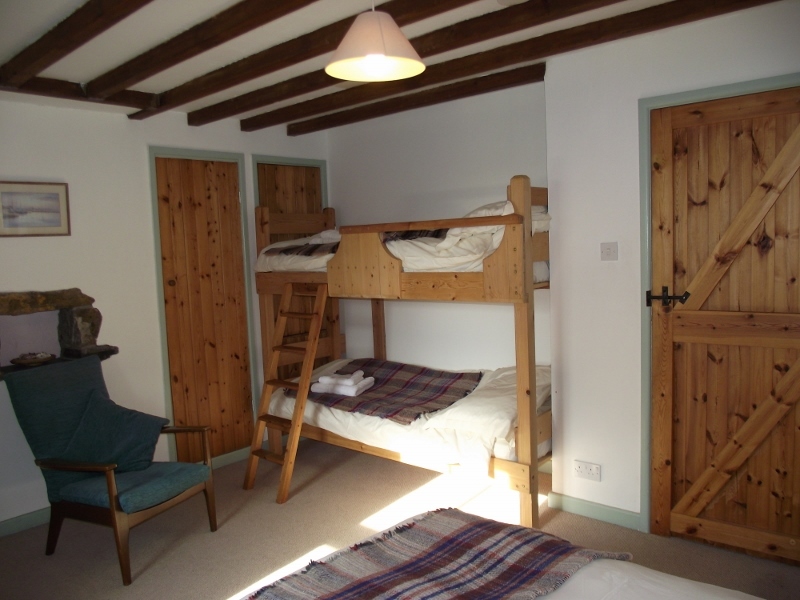 The large family bedroom is furnished with a double bed and bunks. Bed linen and towels are provided. Please bring your own beach towels. A travel cot and stair gates are available. 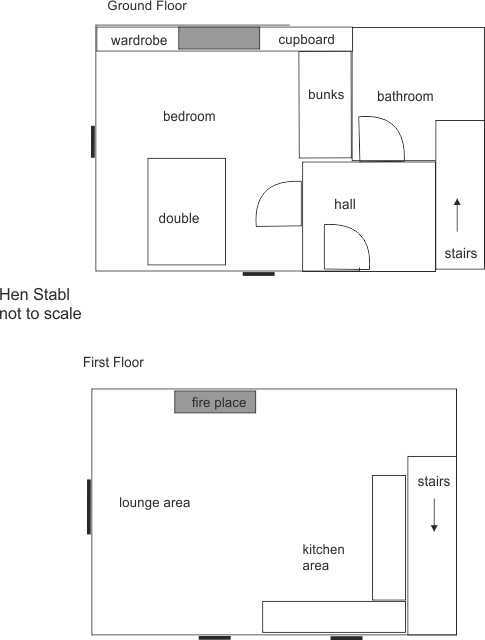 Stairs lead up from the entrance hall to the living room where there is a TV/DVD with some freeview channels, electric cooker, ‘fridge and microwave. 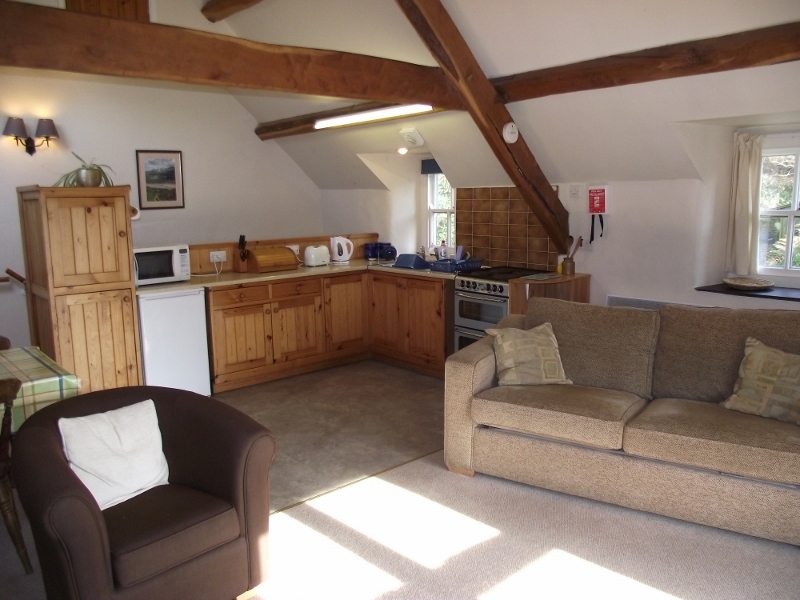 There’s also a comfortable double sofa bed in the living room and linen for this is available on request. 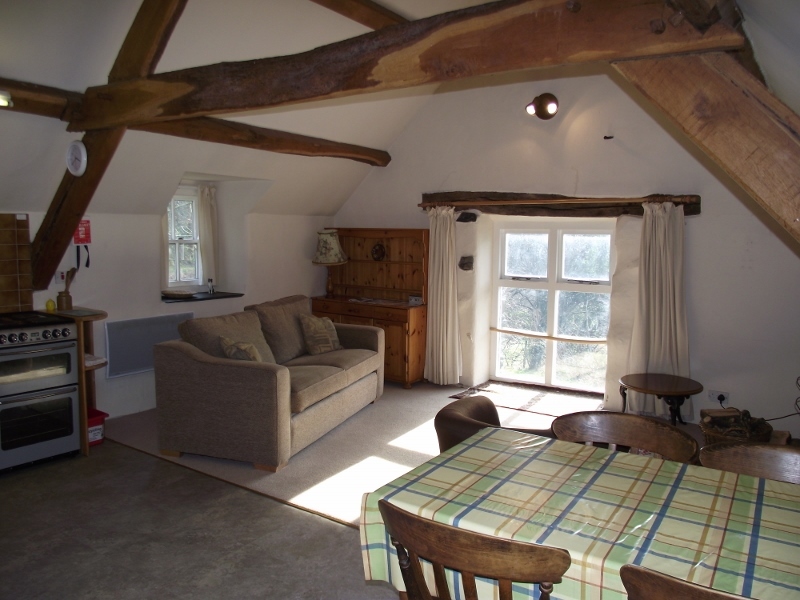 There is free wifi access throughout the cottage. 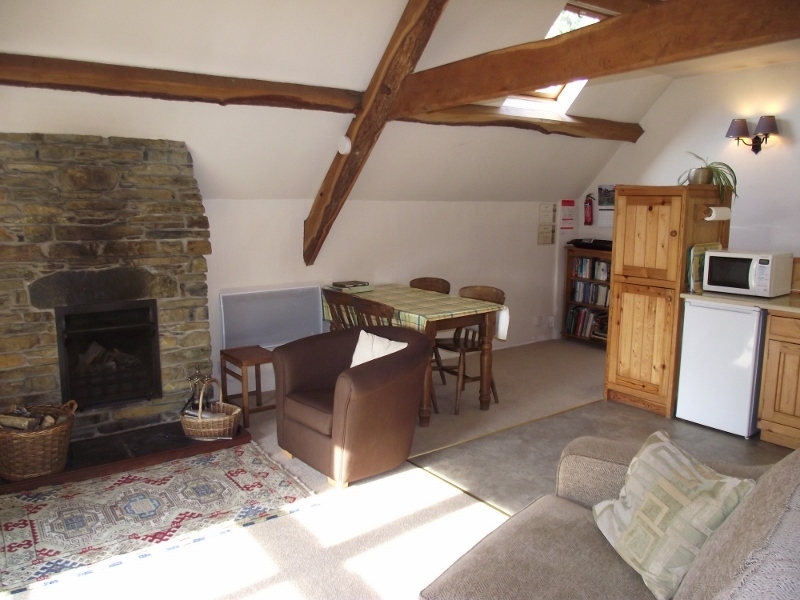 There is full electric heating and an open fire in the living room. Logs and fireguard are available. Outside there is parking space and a dedicated cycle shed. Three is an unfenced lawned garden and picnic bench for the exclusive use of guests and a shared camp-fire site is available for outdoor cooking or camp fires. Pets welcome. 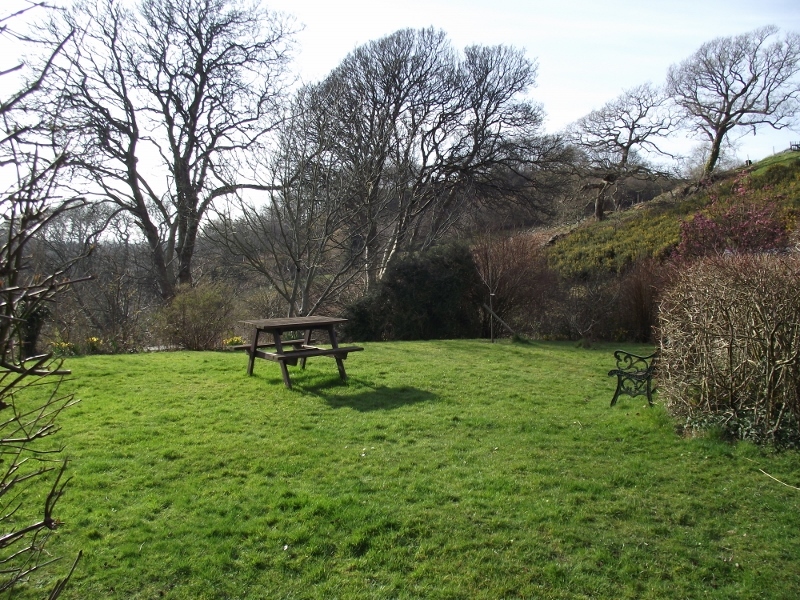 The garden is unfenced and there are ducks, chickens and turkeys around the garden plus sheep (with lambs during the summer) in the field on the way to the Mawddach Trail. Please keep your dogs under strict control until you are sure they will be ok with the livestock. Ducklings have a way of squeaking that seems to excite even the best-behaved dogs. Friday change-over. 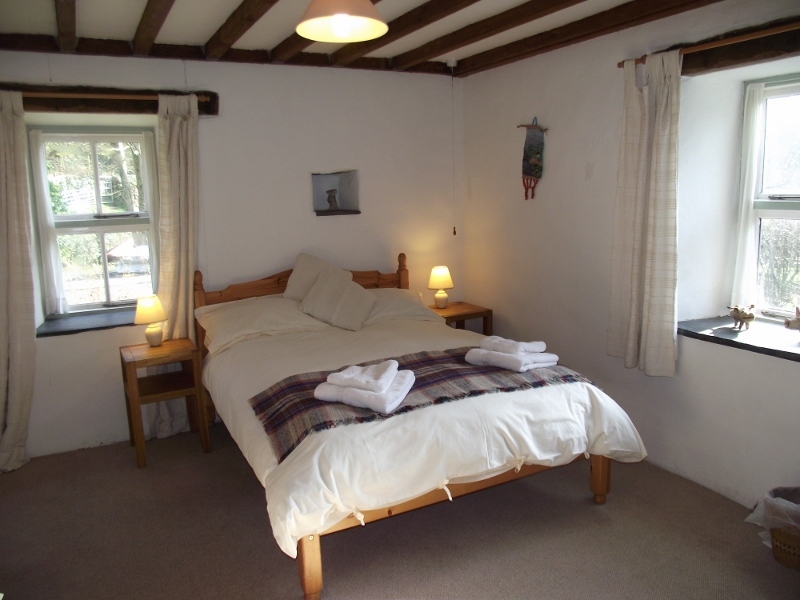 Short breaks also available. The calendar at the bottom of this page, below the pictures, shows when Hen Stabl is not available. Bookings can be made for all other dates. Click here for how to book.